Gen Y is less cluttered with concepts of how a car should powered then older generations. According to Craig Giffi, vice chairman and automotive practice leader at Deloitte LLP, they want hybrids more than older generations as reported at its Shifting Gears conference in Detroit with its annual survey of Gen Y consumers and what they seek in an automobile. The Numbers. The numbers speak for themselves, 59% of Gen Y respondents would choose an 'electrified vehicle' over anything else. The interesting number is 57% favor hybrid gasoline-electric vehicles over pure battery 2% electric vehicles or 37% vehicles with a traditional gasoline-only drivetrain. Surprised? In some ways no, but preferring hybrids over pure EVs sheds interesting light as the amount of education and disinformation Gen Y has received. Why Gen Y Is Attracted To Alternative Energy Cars? Not much surprise here with the deciding factor, 89% Gen Y consumers want vehicles with better mileage compared to traditional gas cars, based on gasoline prices rising above a symbolic $2.75 a gallon. Furthermore, 49% Gen Y would pay an additional $300 for each MPG of improvement for an HEV. This is highly significant since it’s only $50 less than the $350 mile-per-gallon premium Deloitte estimates HEVs currently cost over tradition gas cars. On the flipside, Gen Y is not in favor of plug-in hybrids, PHEV or EVs. Why Is This Important For the Hybrid and EV Market? 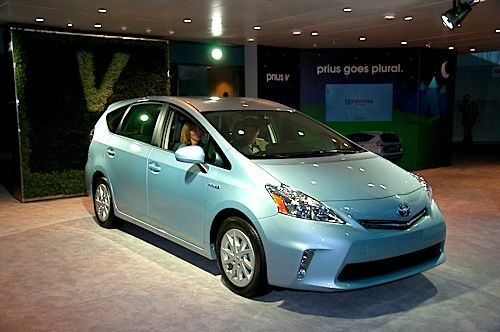 With 80 million consumers, Gen Y is a big piece of the automotive industry market that drives the adoption of hybrids. In other words, a quarter of cars bought are by Gen Y. What Else Can We Learn From This Generation? Social media is big and a way of life for Gen Y. They see cars as more than a transportation means, and as an extension of their social media. In other words, onboard graphic displayed internet-enabled with constant real-time connection is very important to them. This 4th annual project surveyed 1,500 Gen Y, Gen X and baby boomer in the US, 250 Gen Y in China, and 300 Gen Y in Western Europe. Deloitte conducted this global survey between September and October 2011 and defines Gen Y between the ages of 19 to 31. All in all, Gen Y is showing the logical and pragmatic way forward. HEVs have been hailed as the way forward from conventional gas cars, until we can achieve a much cleaner propulsion system. Surprised? In some ways no, but preferring hybrids over pure EVs sheds interesting light as the amount of education and disinformation Gen Y has received. What is the misinformation that Gen Y has received. Are you saying that pure electric is the way to go at this time. The rest of your article did not seem to back this up. And how much does the electric car producer publish of actual costs and negative aspects of producting more electricity, especially since much of it comes from coal fired plants which cause much sickness and death.